When I was asked back in November to take part in a secret santa challenge in participation with Doddle trailing their Runner app exclusive for Londoners I was very much interested. If you haven't seen Doddle's cute 'santa's little helpers' adverts posted all over the tube network then you'll be sure to find one at a popular railway station near you. Doddle are a parcel company which aims to make sending and receiving parcels easy. They also offer a 'Runner' service exclusive for Londoners. For this challenge I was asked to visit another bloggers website to get a feel for what would make them relax across the festive period. For my secret santa I chose a luxurious candle which I knew was sure to bring peace and relaxation to anyone's home. 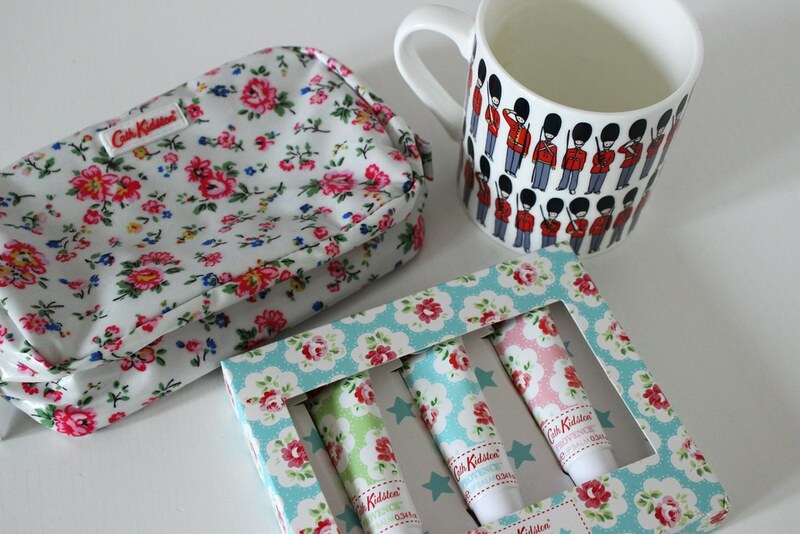 In return I received a Cath Kidston kit including a very english mug (perfect for my cuppa!) a makeup/wash bag and some lip balms. Although it was a lovely gift Cath Kidston couldn't be farther from my taste so unfortunately I felt the gift didn't quite represent me or my blog, but the mug is a definite winner as I love my tea & coffee! Back to Doddle, one of the friendliest and most efficient parcel companies I have used in recent years. Using the runner app which I downloaded in the Appstore on my iPhone, I simply signed up (this took a couple of mins) and took a photo of the item I wished to send, typed in my pick up address (this has to be within one of these London postcodes; EC1-4, WC1, WC2, SE1, SW1, W1, W2, (it can be a coffee shop, work or home address) and the delivery address (this can be anywhere in the UK). The app will then assign a runner to you and an estimated time of when they will collect. The staff are extremely friendly and explain how the entire process works, all parcels are sent next day delivery. Within 2 hours of me ordering the collection someone was at my work address to collect, with it arriving the next day. Doddle is certainly a must-try especially for those important parcels which need to be delivered quick when you don't have time to queue at the post office! For more information on Doddle stores and the Runner App check out their website.